Annotation: Throughout the course of history, civilizations have used warriors in a variety of ways. From the Roman Gladiators who fought for the entertainment of the emperor to the savage raids of the Nordic Vikings, this new series explores every facet of the life and times of some of history's most celebrated, and notorious, warriors. For three hundred years, the Vikings waged war and terrorized people from Europe to the New World. 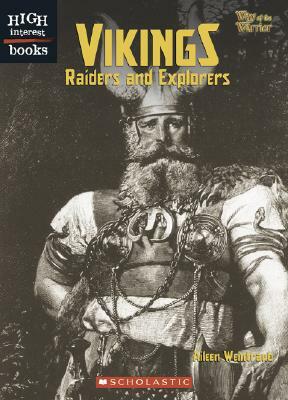 Vikings: Raiders and Explorers delves into the life and times of the Viking warriors and includes information on their weapons, armor, and way of life.